I used to keep my car clean by quickly swiping it with the California Car Duster or one of its numerous knockoffs in between car washings on my driveway. Nowadays, I rarely wield a shaggy duster or a hose and bucket anymore. But it’s not because I became lazier than Garfield or don’t appreciate having a sparkling clean, shiny car that you could “almost eat off of” anymore. Well, actually the former might have a sliver of truth to it, but I also like to think I got smart! Here’s how I wash my car in one minute for $1 (or less) per month. When running errands, on the way home I stop by a do-it-yourself car wash and park my car into one of the service bays. I turn the dial on the car wash operator machine to “rinse” and then grab the spray nozzle. I chuck 2-4 quarters in to the operator machine (depending on how dirty the car is or how much change I have), which then feeds water to the spray nozzle for about 40-80 seconds. I hose down the entire car with clean, high-pressure water. I don’t bother to dry the car. Driving home at speeds above 50 mph blows off just about all the water. Note that I do not use soap. I do the above about once a month, although sometimes 2X/month in winter. At $0.50-$1.00 per shot, I can afford it. By washing my vehicle at the self-service car wash instead of my driveway, I save reservoirs of time by not having to uncoil and connect a hose and bust out a bucket. Plus the water at a car wash typically is clean, recycled, high pressure and does not leave hard water spots. While this quick-wash method is admittedly not as thorough, it is “good enough” 95% of the time. Every six months, I do thoroughly wash the car in the driveway and then wax it. I use Perma-Seal Hand Glaze whose makers dub “The Lazy Man’s Wax,” a product I picked up at the Denver Auto Show a couple years ago. It doesn’t quite produce the shine of, say, Blitz Carnauba Wax, but application and wipe-off is easier and it is supposed to last six months before needing reapplication. Waxing is particularly important for the 1-minute car wash method so that dirt, oil, tar and bugs don’t stick so well to the paint and can be easily sprayed off. It is great from an application perspective: super easy to wipe on and wipe off. In terms of effectiveness, gauging from how water beads on the car, I suspect the wax lasts more like 3 months instead of 6 months. I also think the shine from a high-quality wax like Blitz is superior. But I still have plenty of the Permaseal wax left, and have stuck to a wax-every-6-months regimen. 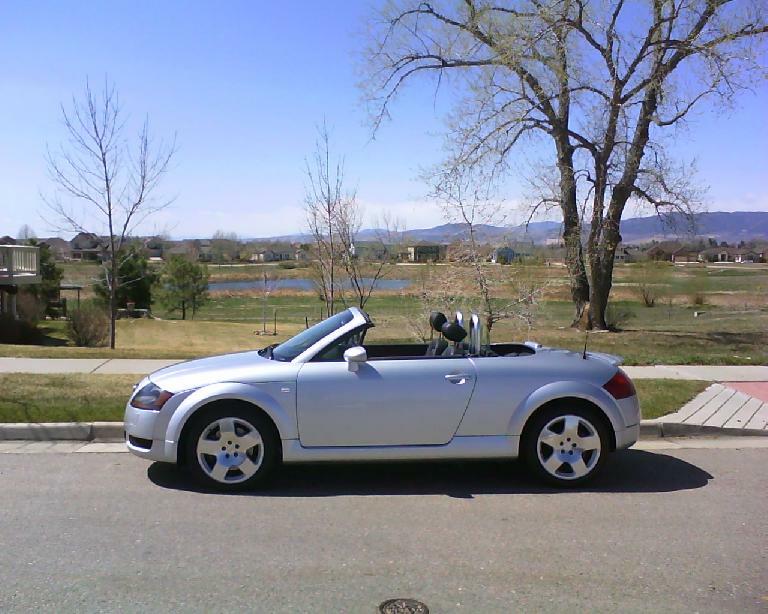 Note that my car is always garaged, is driven <6000 miles a year and rarely sees inclement weather here in Northern Colorado where we get 300 days of sunshine a year. So most people may need to wax/wash their car more frequently than I do, and Permaseal's claim of "an extremely high gloss finish that lasts for a minimum of six months" is likely an exaggeration. Also, it doesn't seem to "fill in and hide" the scratches on my car nearly as well as it did on the black hood that was demonstrated to me at the Denver International Auto Show. But maybe my scratches are deeper. 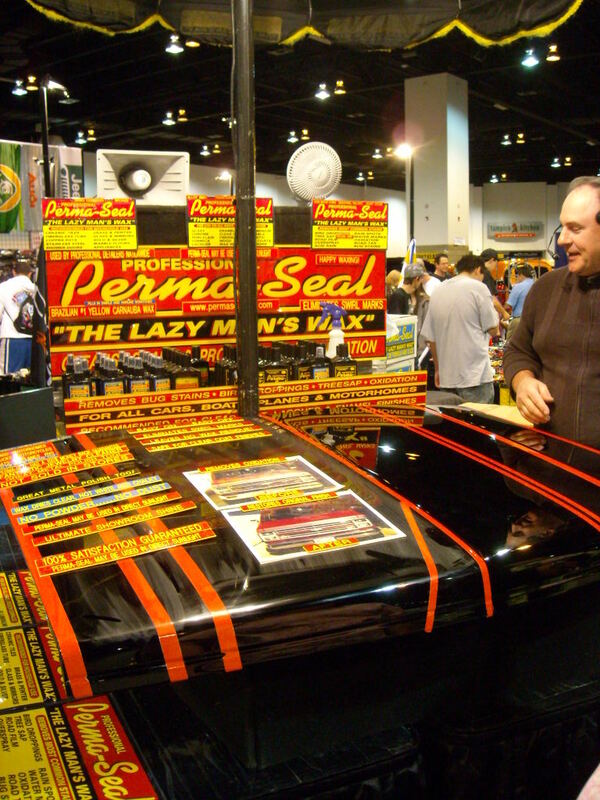 Even though permaseals shine may not be as good as others where would you rank it (as far as shine) with other waxes you may find at walmart autozone etc. Like turtle wax and meguires ice , mothers eagleone etc. Does it produce at least a decent shine and will I be satisfied with it . I mean im looking to wash my car on saturday and im not big into waxes but I picked up permaseal at the state fair since ive always wanted to try it. Im just looking for a nice shine that protects. Basically I looking to know is it worth it to you or should I return it to permaseal. Going off memory, initial impressions and uncontrolled study, I would say it shines as well as Turtle Wax and other low-end waxes, but not as good as using Meguiar’s Glaze followed by Meguiar’s Yellow Wax. But it is much less time consuming to apply Permaseal instead of using multiple Meguiar’s products, plus the wax lasts a lot longer than Meguiar’s Yellow Wax. It is hard for me to tell because my Audi’s silver metallic paint is naturally shiny and in good condition, and isn’t a particular color where waxes can make a big difference in appearance. (Unlike, say, some of the bolder non-metallic paints or black, which otherwise shows every single scratch and smudge). Plus, I don’t think my car’s paint ever got very oxidized, which is where Permaseal claims it can make a big difference. So I can’t say with too much conviction what is a better shine. It does seem to last longer than any other wax I have tried (based off water beading), though probably not the “minimum six months” that Permaseal claims. Because of this–and the easy wipe-on/wipe-off (hence “the lazy man’s wax”)–I’d keep it. One bottle should be good for >5 years for one car. Awesome thanks for the input . Its hard finding reviews for perma seal maybe ill make a video or something for youtube. Ill post some pics on here as well .